Footage taken within Albert Street Police Station yard during the early 20th Century. Our Friends The Police [extracts - Parade and Stretcher Drill] from NWfilmarchive on Vimeo. Extracts from the 1914 film 'Our Friends The Police'. The button links to the excellent 'Our Manchester' website where further maps and photographs of this police station are displayed along with an account of the use of the station on the last day for the Manchester Martyrs in 1867. June 3rd 1858 Lock-up Sub Committee to consider and report what arrangements can be made for securing a better station and accommodation for the A Div as well as useable lock-ups. Aug 26th 1858 W.C to confer with the Gas Committee on old gas works on Lower King St.. Offered at £300p.a. April 21st 1859 Tender of £3222 and £222 for the gateway approved. 1863 Slater’s Police Stations: Supt. John Gee. Jan 12th 1865 Cracks and subsiding in walls. Requires steel pillars in men’s room as support. Oct 17th 1867 Following the death of Sgt Brett in the ‘Fenian Outrage’ the LUSC ordered to make arrangements to secure the stations by:- Plating the doors in iron, wrought iron bars to windows, revolving shutters to windows, raise the walls to height of next door smithy. Strengthen gates with 8’ plate panels. Nov 7th 1867 Land offered for sale by Gas Committee. July 21st 1870 Land transferred to W.C.
Dec 27th 1872 WC to buy the site from the Gas works for £7,500 or equal to the £300 rent at 4% capitalised. Sept 27th 1876 Repairs to Grove St and Albert St yard by paving. Feb 20th 1880 New boiler required. Oct 7th 1880 To avoid building a ‘dead house’ [mortuary] as station is residence to constables. July 5th 1888 Gates are very heavy and decayed 16’x7’ each New light 10’ gate with 5’ grill on top required. June 6th 1889 Painting of the cottage for £20. March 12th 1890 Painting of outside woodwork after 7 years £18. July 23rd 1891 Twinquennial valuation of properties owned by the W.C only: £26,044. 5th Feb 1894 Tenders required for the works - £132 also for painting inside and outside of the entire building - £118. Repairs required to the large gate stop. 29th Nov 1894 Concern was raised regarding an inability to turn out a stretcher and ambulance from Albert Street PS to St Anne’s Square as firstly the PS were not on the telephone and that there was no constable available to attend the incident. Could arrangements be made to connect them to the telephone system? 29th Nov 1894 The arrangement for drilling messenger boys in police station yards was declined at Albert St due to the extra cleaning required [?] and that the pipe band would disturb the resident night constables. 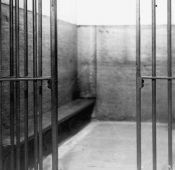 31st Dec 1896 LUSC: Closets in the men’s quarters are in a very bad condition. An issue since the station’s construction in 1859. Closets to be removed and new fittings and enclosed plumbing works to be overhauled. 12th Aug 1897 LUSC: Painting for 3108 Mr F Small. 19th May 1898 LUSC: new heating pipes for cells new boiler and copper piping for baths and lavatories. Painting to charge office, reserve room, corridor, sergeant’s office, clerk’s office. Tender £31. 11th Aug 1898 LUSC: Men’s quarters. C.Cons to report as to the cost of maintenance of the police quarters at Albert St and the amount received from the men at such station and as to whether or not it is in his opinion desirable that the present system should be continued. Closure of following stations except for prisoners in emergency – Newton St, Fairfield St, Lowe St, Brook St, Ashton Old Road, Belle Vue Street. To build new stations at Mill St Bradford. 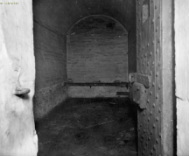 The cells at the Minshull St Police Courts to be utilised at the London Rd end of C Division instead of the accommodation at Newton St. Weights and Measures to be transferred to Albert St or Newton St.
Police HQ to be removed to the Town Hall from Albert St.
Police strength to be reduced from 1037 to 1000. 1901 Caminada’s report details that the station could be closed along with Goulden Street and Newton Street if the Town Hall was used as a central lock-up. 15th May 1901 Quinquennial Valuations: £31,364. 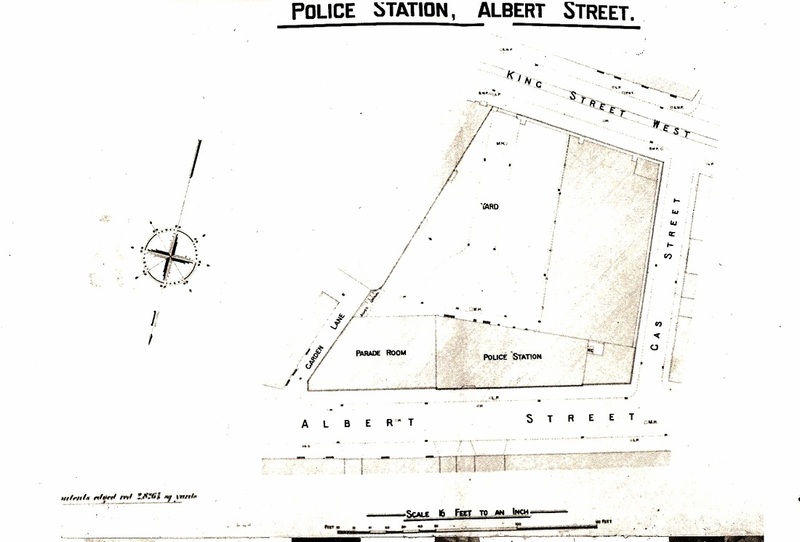 13th Feb 1902 Rights of Light: Opening of lights inside Albert St Police Yard. New windows and frosted glass of a good thickness and the lower windows protected by iron bars outside.. Part of the agreement with Mr Renton to pay the Corporation 1s p.a. in respect of each window. His premises overlook the yard and two windows exist already. Above photograph displays the yard but does not match the description of Mr Renton's premises. 2012 Building and street now demolished. The site of the large station and yard can be located within a triangle created by extending King Street West towards Bridge Street and the original line of St Mary's Parsonage to Bridge Street. The tall building '47 King Street West' is a good indicator of its location.